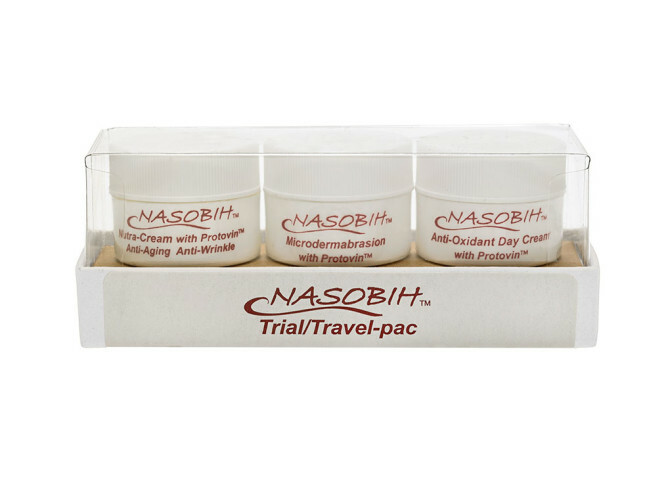 Trial / Travel-Kit $16.99 | Nasobih | Nasobih Naturals Ltd.
Use once or twice weekly as a facial exfoliant to remove dead skin cells and expose new healthy cells for a youthful glow. Wet face and apply a small amount of microdermabrasion then rub face gently in a circular motion. Our corundrum crystals are specially designed to polish and not scratch the skin like some other products. Leave the product on for one minute to absorb the antioxidants then rinse and apply Nasobih™ Nutra-Cream for amazing results.